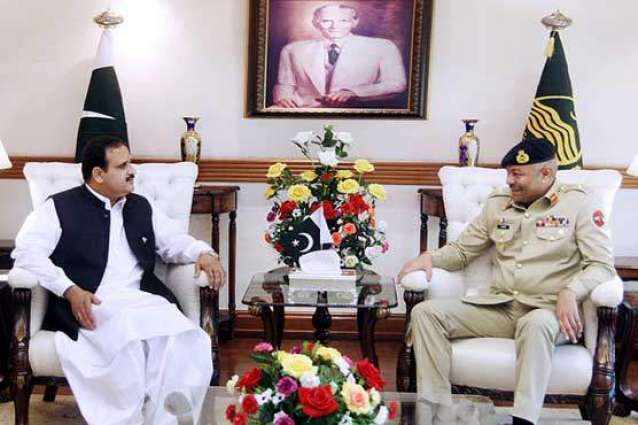 LAHORE: Lahore Corps Commander Lieutenant General Amir Riaz called on Punjab Chief Minister (CM) Sardar Usman Buzdar at his office on Friday. The chief minister paid tribute to the armed forces on the wonderful display of national unity and cohesion during the Defence Day held on Thursday. The whole nation has shown its immortal love and affection with the beloved motherland by celebrating the Defence Day with full fervour and zeal, he added. “Political and military leadership has given a unanimous message to everyone that the Pakistani nation is fully united for defence and prosperity of the country,” he added. The chief minister also paid tributes to the brave officers and jawans of armed forces who sacrificed their lives for the protection of the country.